Talbot Park will be having a civic league meeting on February 28, 2012 (NOT February 21 as formerly reported). 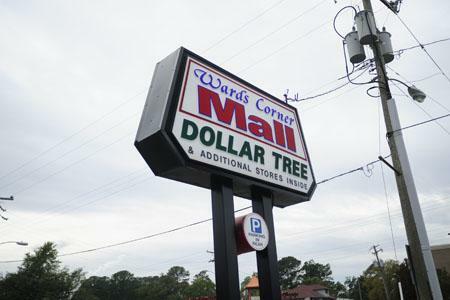 Chris Perry will be there to talk about his plans to develop a Harris Teeter anchored shopping center at Wards Corner. The meeting will be at Royster Memorial Church at 7pm. Mr. Perry, on behalf of Suburban Land Management, is attending civic league meetings in Greater Wards Corner in February to unveil his plans and design for a brand new Harris Teeter-anchored Suburban Park Shopping Center at the southeast corner of Wards Corner. Mr. Perry and his partners delivered a presentation on February 13th at the Suburban Acres Civic League meeting. The Suburban Land Management presentation will also be featured at the Wards Corner Civic League meeting Feb. 27, 6:45 pm, at the Norfolk Fitness and Wellness Center, 7300 Newport Ave. It is a relief to finally sleep the night through without motorcyclists gunning their engines from 7:30 pm to 2 am three or four nights a week behind the Nutty Buddy/Visions. The final wake up was Feb 19 when hearing seven gun shots woke us out of our dreams. The parking lot is clean every morning, too. It’s like the old neighborhood again. Thank Chris Perry for denying any reopening in that location until the new shopping center debuts.